Home / Our People / Faculty / Forestry Faculty / Logan Park, Ph.D.
Logan O. Park is the Associate Professor of Forest Recreation and Park Management in the Forestry Department of Southern Illinois University Carbondale. He provides consultation to protected area managers, undergraduate and graduate instruction, and extension service. He has completed degrees in Environmental Chemistry (B.S., Furman University), in Natural Resources Planning - recreation management (M.S., The University of Vermont) and in Forestry - interdisciplinary studies in the sociology and ecology of outdoor recreation (Ph. D., Virginia Polytechnic Institute and State University). 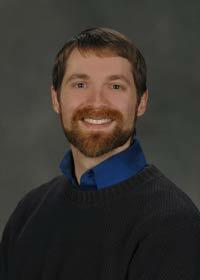 While completing his doctoral studies, Logan was awarded a Burruss Fellowship. Previously, Logan was a Dow Chemistry Scholar. His thesis and dissertation research focused on characterizing, managing, and preventing recreation-related impacts to resources in a variety of protected area settings. His current research interests include mechanisms of impacts to soundscapes, cultural resources, soils, vegetation, water, and wildlife; computer simulation modeling of protected area planning measures; practical indicators, standards, and monitoring methods development; and integrated management approaches to preventing/mitigating resource impacts and protecting visitor experiences. Advisors: Jeffrey Marion, Ph.D. and Steven Lawson, Ph.D.
Advisors: John Wheeler, Ph.D. and Sandy Wheeler, Ph.D.
Ward, W., Park, L., and Coulson, E. (2012). Impacts of search and rescue operations on wilderness management in the national parks. Park Science. 28(3). Marion, J., Wimpey, J., and Park, L. (2012). The science of trail surveys: recreation ecology provides new tools for managing wilderness trails. Park Science. 28(3). Manning, R., Valliere, W., Anderson, L., McCown, R., Pettengill, P., Reigner, N., Lawson, S., Newman, S., Budruk, M., Laven, D., Hallo, J., Park, L., Bacon, J., Abbe, D., van Riper, C., Goonan, K., (2012). Defining, Measuring, Monitoring, and Managing the Sustainability of Parks for Outdoor Recreation. Journal of Park and Recreation Administration. Special Issue. Logan Park, Steve Lawson, Ken Kaliski, Peter Newman, Adam Gibson. (2010). Modeling and Mapping Hikers' Exposure to Transportation Noise in Rocky Mountain National Park. Park Science. 26(3). Special Issue; Robert Manning, Peter Newman, eds. Logan Park, Robert Manning, Jeffrey Marion, Steven Lawson, Charles Jacobi. (2008). Managing Visitor Impacts in Parks: A Multi-Method Study of the Effectiveness of Alternative Management Practices. Journal of Park and Recreation Administration. 26(1), pp. 97-121. Logan Park, Robert Manning, Jeff Marion, Steve Lawson, Charles Jacobi. Managing Visitor Impacts on Cadillac Mountain. (Chapter 21). In: Robert Manning, ed. (2009). Parks and People: Research to Guide Management of Outdoor Recreation at Acadia National Park. Lebanon, NH: University Press of New England. Conditions at Acadia National Park. (Chapter 18). In: Robert Manning, ed. (2009). Parks and People: Research to Guide Management of Outdoor Recreation at Acadia National Park. Lebanon, NH: University Press of New England. Marion, Jeffrey L., Jeremy Wimpey, and Logan Park. 2010. Informal and formal trail monitoring protocols and baseline conditions:Acadia National Park.Final Management Report. Virginia Tech College of Natural Resources, Forestry/Recreation Resources Management, Blacksburg, VA.
by The University of Vermont Park Studies Laboratory for the U.S. National Park Service. 2007. Karen Hockett, Amanda Clark, Yu-Fai Leung, Jeff Marion, Logan Park. (2009). Deterring Off-Trail Hiking in Protected Natural Areas: Evaluating Options With Surveys and Unobtrusive Observation.